Millhouse Cottage is full of character yet offers contemporary and comfortable accommodation within idyllic surroundings, with stunning views. 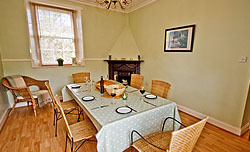 The property has a mature, enclosed and private garden with patio, garden furniture and barbecue. 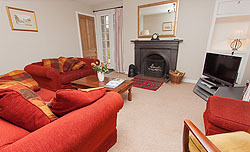 In addition to central heating, the sitting room and dining room both have open fires (logs and coals are provided). 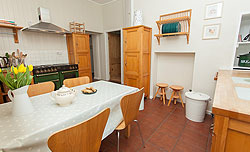 The kitchen/breakfast room and the utility room have all the modern facilities you could require, featuring an electric range cooker with double ovens, fridge/freezer, microwave, dishwasher and washer/dryer. An extensive range of kitchen equipment ensures all your needs will be catered for. 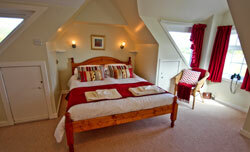 The master bedroom has a king size bed and ensuite shower room. 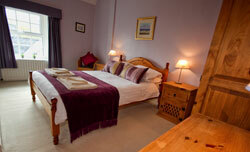 There is also a double bedroom with an ensuite shower room and a twin bedroom with wash hand basin. There is also a separate family bathroom. For your entertainment we have T.V., DVD, Video, Radio/CD, ipod docking station and a selection of books, toys and DVDs. Wifi is provided and a Highchair and travel cot are available on request. (Baby bed linen is not provided). 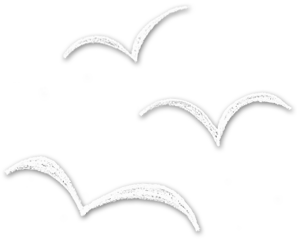 If you have any queries regarding our accommodation, contact us and we will get back to you as soon as possible. Millhouse Cottage does not accept pets.